Hello everyone! This is a post I’ve been wanting to do for a long time, and I’m finally doing it! The reason for this post is that I wanted to share with everyone what the difference is between these 2 dehydrating methods. Not everyone has a freeze dryer, but lots of people have heard/seen what it can do and are curious about it. I’ll show the comparisons later down the post. I’d like to give some information on how the freeze dryer works. I think most cooks already know how the conventional dehydrator works so I’ll skip that to keep this post as short as possible. There are 3 main components to a freeze dryer – temperature controlled vacuum chamber, condenser, and a vacuum pump. A vacuum is exerted in both the chamber and condenser. The freeze dryer works by applying the concept that at lower pressures (ie vacuum), water boils/evaporates at lower temperatures. Similar concept to how the rotary evaporator works, however, the vacuum pump of the freeze dryer is much stronger, therefore allowing evaporation at much lower temperatures. The food must first be frozen, and the temperature of the chamber should also be below freezing. When there is sufficient vacuum being applied, the chamber will slowly increase the temperature until it reaches higher temperatures (usually around 20c – 25c). These temperature settings can be changed. As the temperature increases, the frozen moisture in the food instantly evaporates due to the vacuum. This process is called sublimation. It is when a substance goes from its solid phase, to a gas phase without going through its liquid phase. The evaporated water then collects in the condenser, which is usually at -80c. It needs to be this cold in order for the water to condense and freeze at such negative pressures. I must also point out that the freezing method is very important. Best results will be from foods frozen using a blast chiller or liquid nitrogen. The faster freezing will reduce ice crystal formation, therefore resulting in better preservation of the food. – the food does not get exposed to as high temperatures as a conventional dehydrator. – colours and shapes of (most) foods are preserved. – very high power consumption from the constant vacuum and extremely low temperatures of the condenser. Before we proceed, I just want to point out that during this trial, the freeze dryer had a bit of a hick up, and thus may not have optimal results for this particular trial. Though, results are still indicative of what freeze dryers can do. I measured the temperature of the conventional dehydrator and got a reading of 60c.A bit high, but there were no temperature settings for the one I borrowed. Foods dehydrated are – rib eye steak, sliced portobello mushrooms, blueberries, raspberries, asparagus. Foods were raw, then frozen overnight in a regular freezer (wish I had a blast chiller). 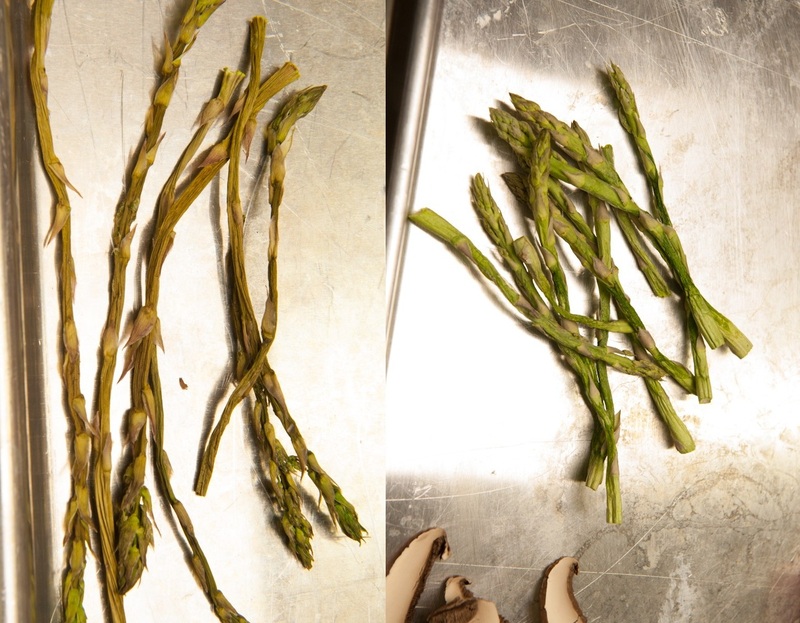 Photos on the left side are from the dehydrator, photos on the right are from the freeze dryer. 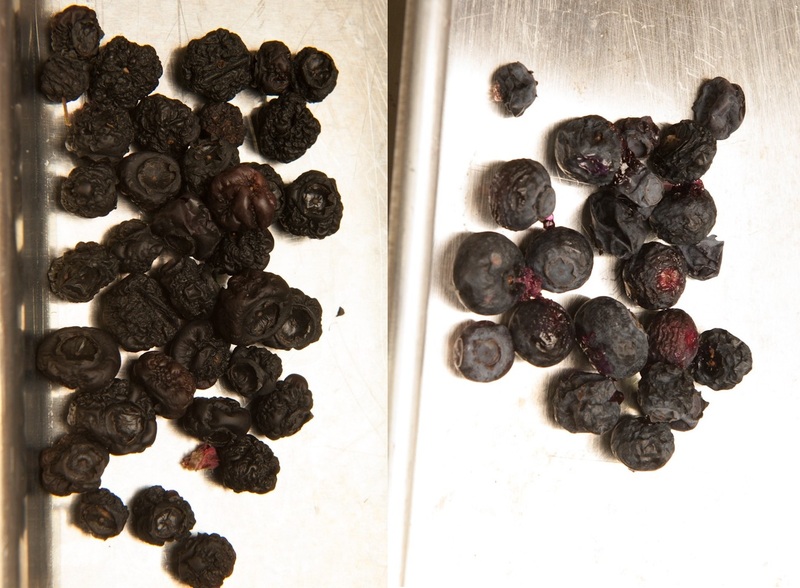 Here you can see that colours are different, and there is less shriveling on the blueberries from the freeze dryer. Flavour: Freeze dried(FD) berries had very strong aromas of rose. Not as much in from the dehydrator(CD). The CD blueberries still had blueberry notes in the flavour. 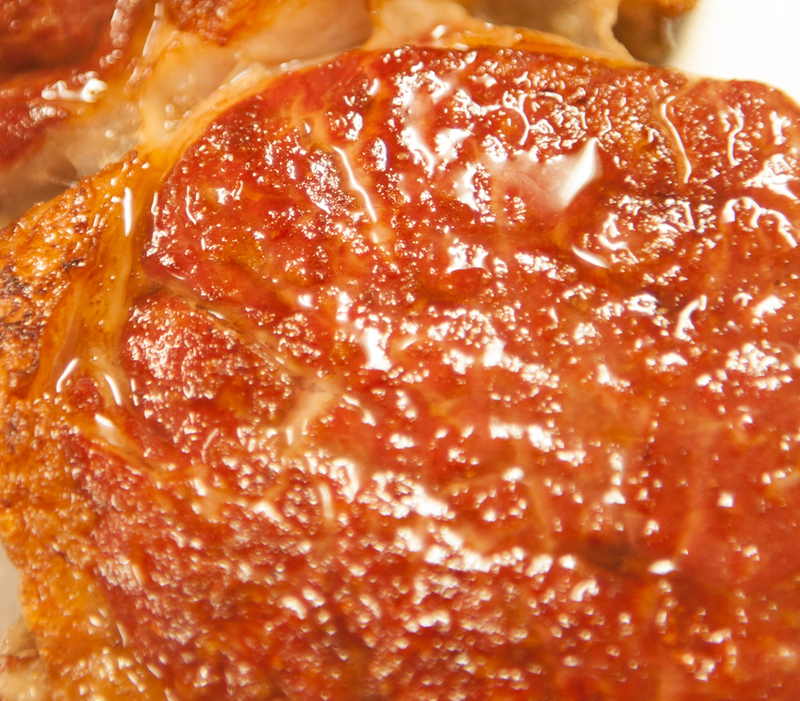 Texture: Both were crispy, but CD bluebrries had more body to them. the FD ones felt lighter. 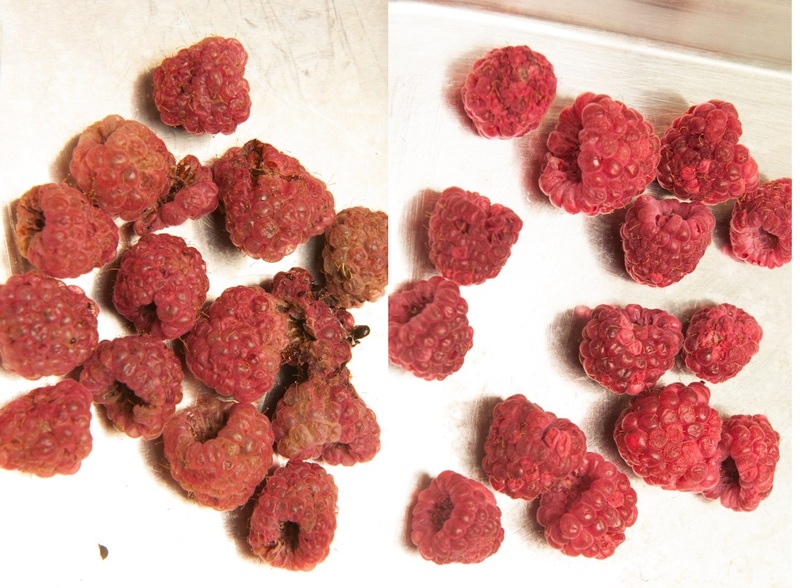 The results with the raspberries were quite similar with blueberries, except with different flavour notes of course. Again, colours are better preserved when the food is FD. Flavours were similar, both had crispy textures. 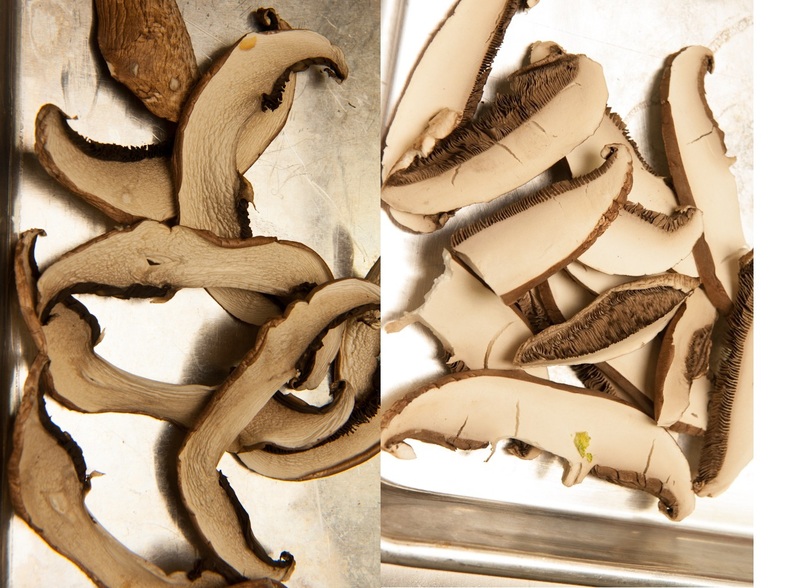 Here you can see that there is absolutely no shriveling in the mushrooms from the FD. There is however the cracking. With the CD mushrooms, they really do shrink to a much thinner thickness, but have no cracking. Last but not least, rib eye steak. Here the differences are very obvious. 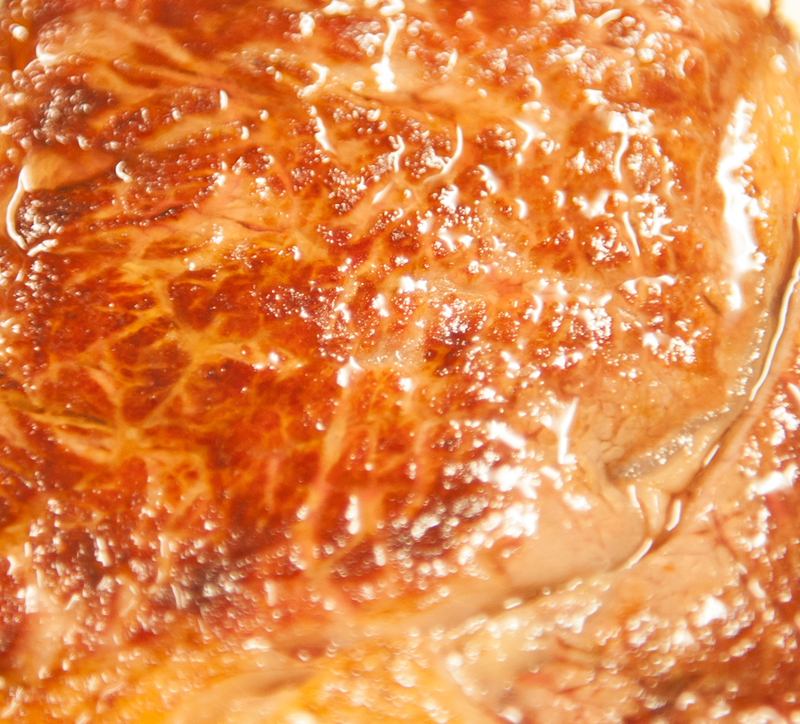 Essentially, the steak is already cooked when processed in the CD, as the temperature was at 60c. Also, there was still plenty of moisture left in the interior of the CD steak. 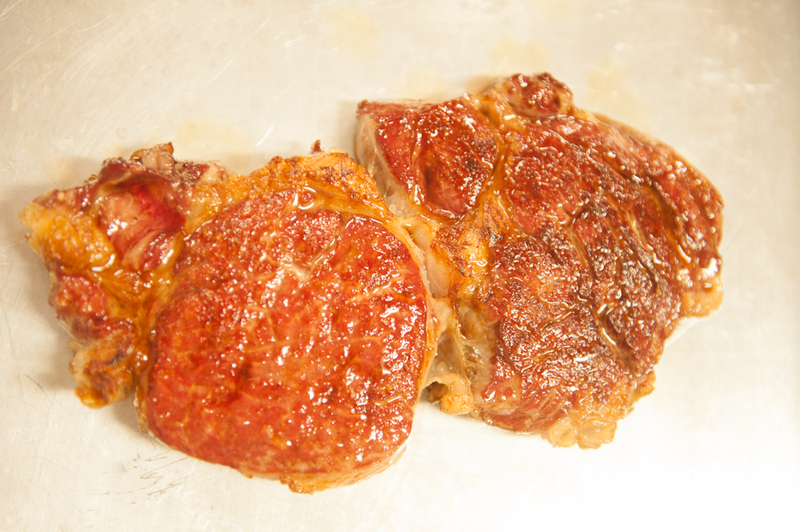 For the FD steak, colour is still very red, and preserved. 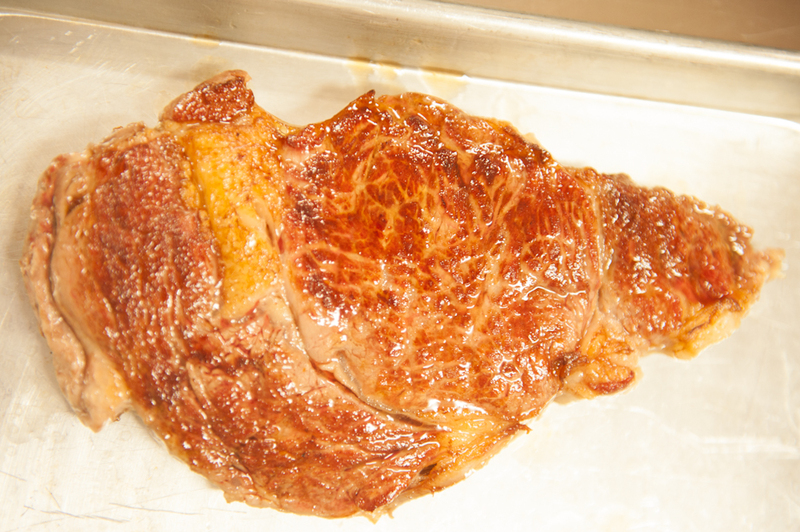 Again, no cooking or oxidizing of the fat due to lower temperature and pressure. I still have the FD steak in the freezer. I’m going to see what happens when I let it soak in mushroom stock. 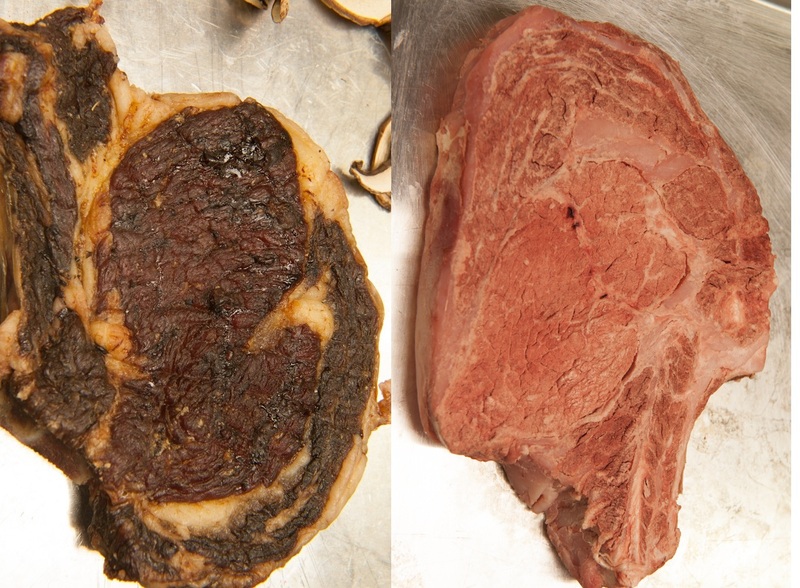 Obviously the texture won’t be like a freshly cooked, properly dry aged steak, but hey, lets just find out! Why not right? We’re finally offering our ingredients to the public. More and more will become available as time goes on, and they will come sooner than later. Click on the Available Ingredients tab on top. – can produce very strong, but flexible gels at concentrations between 0.4% – o.8%. Think making noodles with apple juice. – Needs to be heated to 75c to completely dissolve the FlexiGel into the mixture. Here’s a few things I’ve done with it. This is a fairly old recipe, but I think it demonstrates the versatility of FlexiGel. 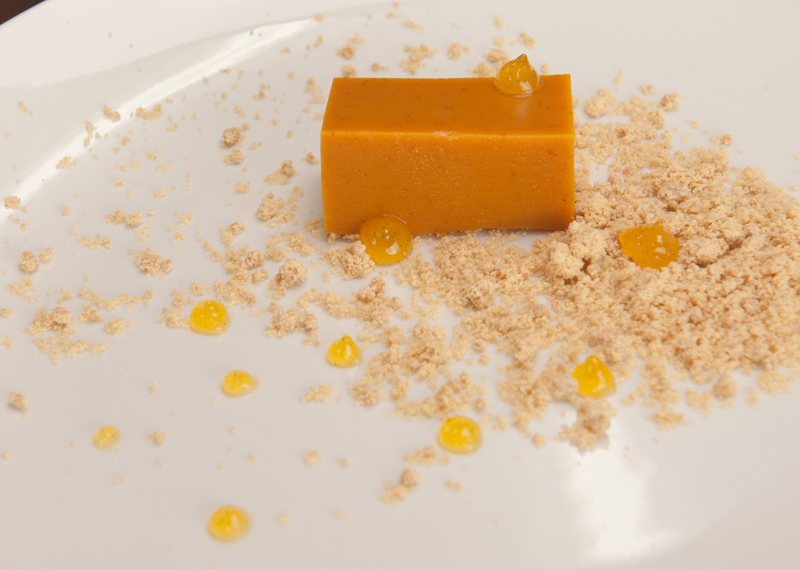 Pumpkin Pie: The pie itself contains roasted pumpkin puree, yogurt, nutmeg, cinnamon, maple syrup and sugar. The amount of FlexiGel is 0.8% of the total mixture. 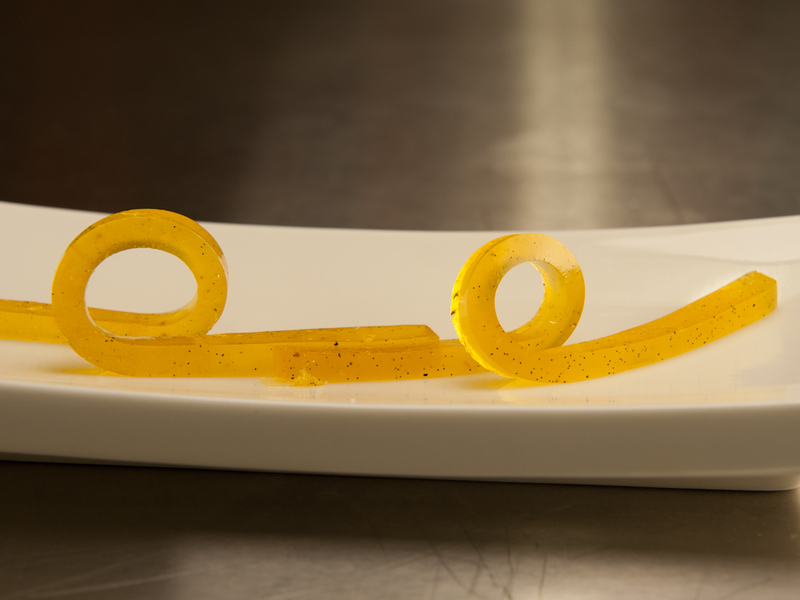 Orange Caramel fluid gel: The fluid gel was made with a 0.6% concentration of FlexiGel. The mixture is first heated then allowed to set into a firm gel. Afterwards you puree it and turn it into a fluid gel. The mixture contains about 50% sugar. 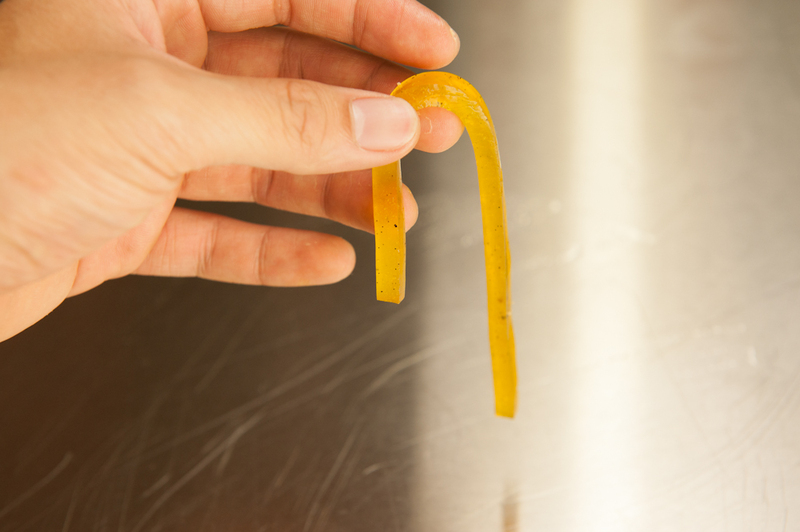 For the orange caramel, before I pureed the gel, I decided to slice it into shapes. One of which was a long rectangle to demonstrate it’s gel strength and flexibility. 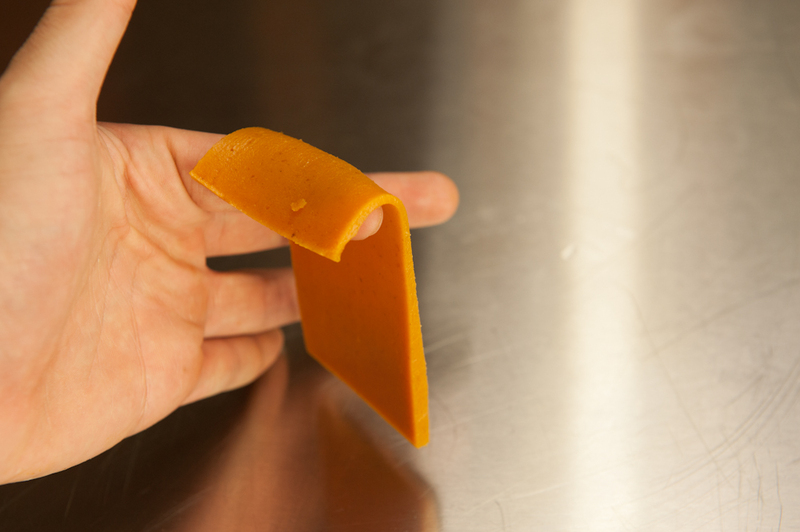 And lastly, from the slab of solidified pumpkin puree, I sliced a “blanket” shape to again demonstrate the strength and flexibility of the gel. Of course, you can make the sheet even larger. It would still be able to hold.